Gamers, Take Notice. Rivals, Take Notes. 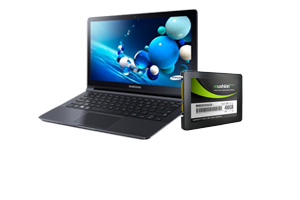 If you want the most innovative Mushkin SSD ever, you'll have to be more specific. 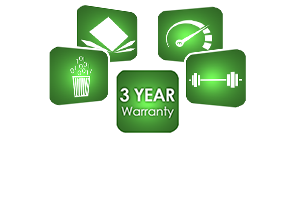 Mushkin doesn't only focus on launching new and innovative storage and memory solutions, we are always looking for new ways to enhance our existing products as we are doing with our value Mushkin ECO2. 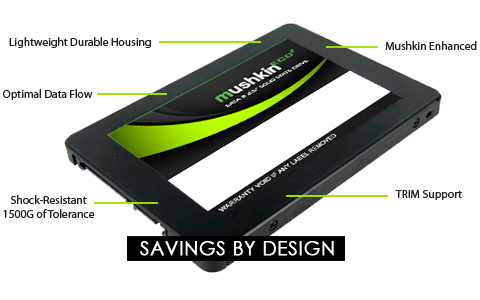 Combining the energy efficiency of SSDs with an ECOnomical design, the Mushkin ECO2 Series SSD delivers unprecedented value. What if? Two simple words. But when combined, the possibilities are endless. "At Mushkin, we've stopped simply asking 'what if the impossible was possible' and started manufacturing it. "This though is at the core of every Mushkin innovation. 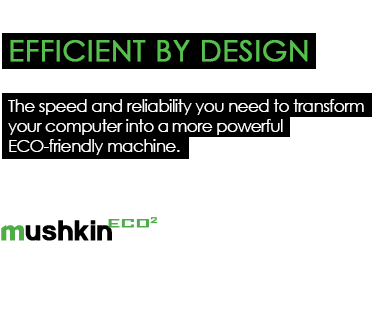 And it's led our engineers to develop everything from industry leading performance gaming memory to some of the most impressive storage technologies on the market. Try our innovations yourself and explore what's possible with Mushkin products. 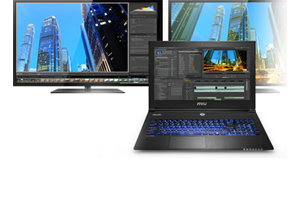 Mushkin's U.S.A.-designed Mushkin ECO2 allows your ultra-portable or desktop workstation to run all your essential programs at the same time without sacrificing performance due to the slow speed of a standard hard drive. 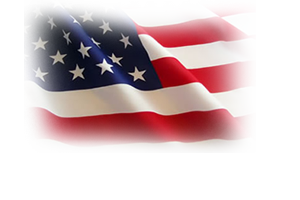 Not many manufacturers can say they design, assemble and test their products in the U.S.A. But Mushkin has been engineering its products in the U.S.A. since its inception in 1994. That means, for more than 20 years, we have been uniting all aspects of performance to engineer something you can't get from a spec sheet. Other Thoughts: I bought the 240GB model a few years back. Doesn't seem to be available any more? My analysis: I need to buy a better drive ASAP. WD Blues in software RAID should NOT be outpacing ANY SSD, especially not by 100 MB/s. Pros: Noticeably sped up boot and program access by about 25%. Light weight. Cons: Failed 25 months after purchase. At first I thought I got hit by a virus because programs were no longer found and icons were detached from source files. I always back up my data, but copying the missing files back to their original location on this SSD, they immediately "self-erased" and were not kept. Within 1 day of debug and trying to recover, 50% or more of the files were missing, second by second sometimes as I was browsing them -- they would just disappear. I pulled this out and replaced it with a slower but safer HDD. Other Thoughts: I have heard that SSD technology has improved significantly in the 2 years since I bought this, but after that failure I will not trust it much. I might use it for secondary disks, not sources I need for my job (like the OS boot). Cons: Umm.. the drive failed. It just shows up as SandForce in the BIOS. A google search shows this is a known problem with Mushkin SSD's. Pros: It seemed acceptably fast for the 8 short months it worked. Cons: I purchased this drive 2/23/16 and received it a few days later it wasn't actually installed in my build until April-May. Yesterday 3/21/17 it suffered a total failure no warning worked fine the night before. I booted my machine in the morning and was told Windows needed to check the drive for errors after that I could only boot to the BIOS and only showed my secondary drive after checking cables, power source etc. I pulled the drive and hooked it to another PC same thing PC doesn't detect the drive at all. This drive did not see heavy usage or abuse in any way and failed in record time. 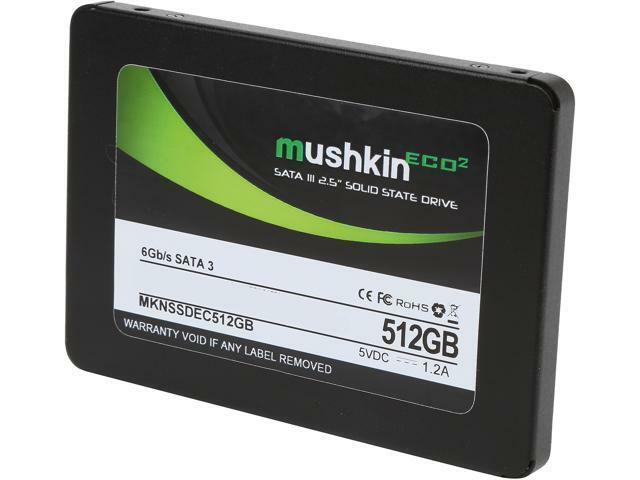 I'm currently waiting to hear back from Mushkin hopefully they will at least honor the 3 year warranty however I won't be using one of these as a primary drive again. You have been warned.